Adler Splitting Axe and Wedge in one tool. The hollow-forged expansion wedges increase the power of impact and prevent premature axe clamping. Even if the axe sticks deep in the wood, it can be easily removed, because it rests on the basis of the hollow profile of both forged wedges. This axe is particularly suitable for splitting logs. Axe head is made of high-class carbon steel, full-ground and fine polished. Forged hollow wedges are fully ground. Handle made of original USA hickory, ground twice, and lacquered with environmental friendly water-based paint. 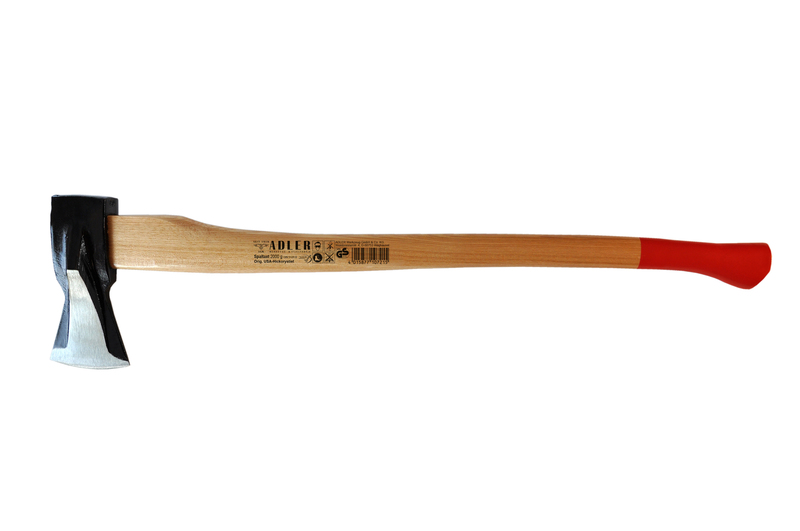 NOTE: Adler Axes from Big Bear Tools do not have red paint on the handle as shown in the photo.